No matter how quickly you cycle into a headwind, you’ll never slow it down. After a week in Pollenca, with temperatures reaching 25, it was back to bread-and-butter today. The DCC Group 3 met despite very strong winds, and forced their way to Lismore. It was here that the split occurred. 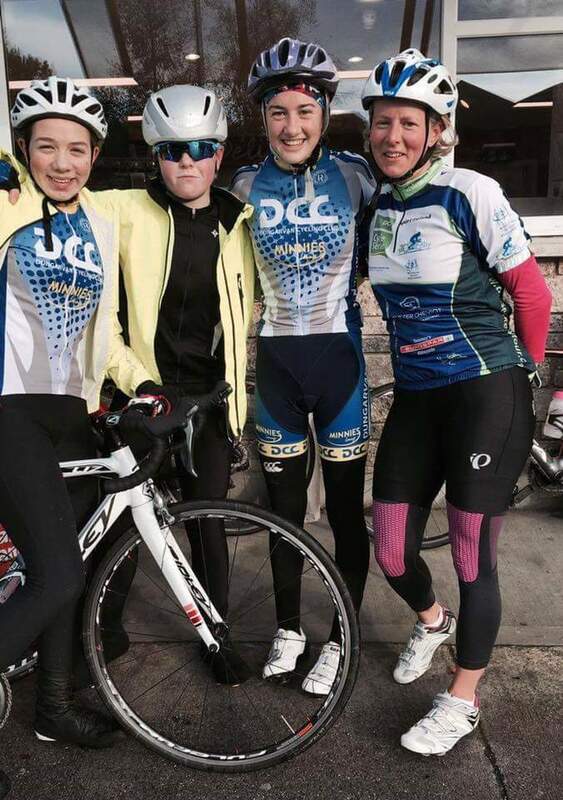 After coffee and a chat, the ladies outnumbered the men four to three on the back roads to Deerpark and Kilmolash, while the remainder of the group inched their way to Inch in County Cork. Get winter jacket from the winter bag. Now where did I store that bag last Easter? Put pedals on bike. Note for next time we go to Mallorca: don’t pack the pedals at the bottom of the suitcase! Boxes ticked, but I forgot to bring water and money. Just as well I’ve got good friends who remember all these important little things. ‘You seem to like these conditions Sean?’ ‘I neither like or hate them, it’s just everyone else hates them. The prevailing wind in Ireland is south westerly. Therefore, for us here in Dungarvan, it comes from Youghal. Some days the wind completes that distance in about 30 minutes. While all this was happening, Slovakia’s Peter Sagan won the men’s World Championships for the second year running, while Amalie Dideriksen (Denmark) took the women’s title. There was a very strong wind also in Doha. It seems even world champions have to cycle in tough conditions!